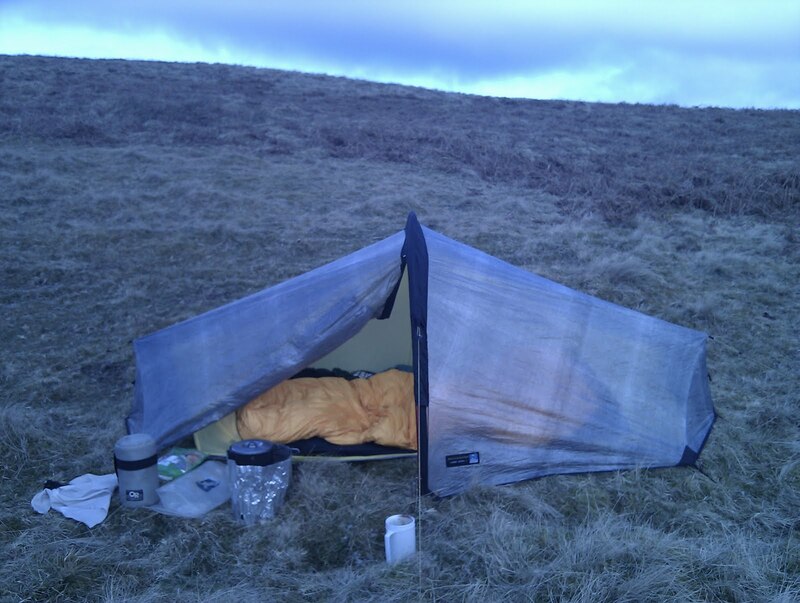 Ten days into a walk along the Southern Upland Way. Not the ideal time of year but a last minute commission to write a route description meant it had to be now so I've undertaken a long distance path in winter for the first time. Four days of heavy rain and thick mist at the start did make me wonder if it was a good idea. However the weather has improved since then with clear skies and a frost the last two nights though overall it's not been very wintery. As well as researching the route I've been testing some interesting new gear for a TGO feature. Now in Galashiels I should finish in two or three days. The photo shows my camp below Deuchar Law between St Mary's Loch and Traquair. Is that an Akto in the photo ? I hope the weather stays better for the last few days. Good luck on the last stretch. Managed to get some great sunshine limping round the Cateran Trail over the weekend... but I suspect that just makes your weather seem worse. It's a wee bit more than an Akto - in cost! And, considerably less in weight! If you have a spare £650 it's your from Terra Nova. It will be great to get your views on this and whether it's really worth the price. 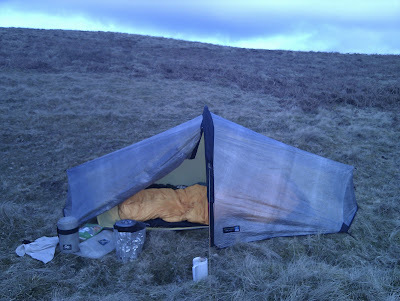 Gordon, I'll be reviewing the Ultra 1 tent and the other gear I used on the SUW for the May issue of TGO.